A link to "Manage speed dial for Business Voice and VoiceEdge Select " will be sent via email. Your link to 'Manage speed dial for Business Voice and VoiceEdge Select ' has been sent! 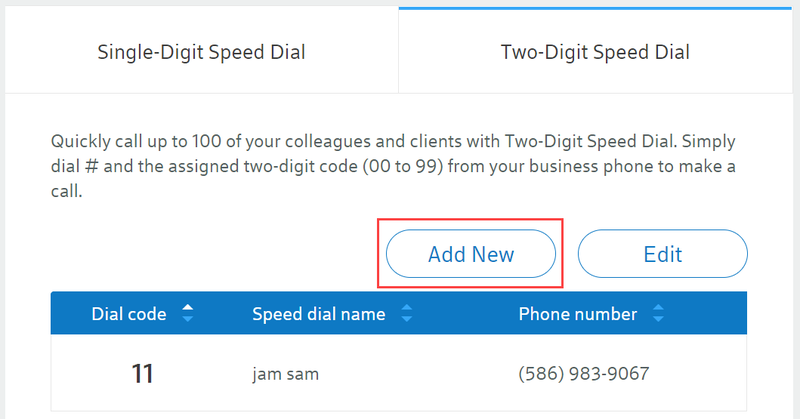 Manage single-digit and two-digit speed dial settings for your Business Voice and VoiceEdge Select service. Begin by signing in to My Account and selecting Phone from the Services menu. Expand the Features section and select Speed Dial. On the Single-Digit Speed Dial tab select Edit. 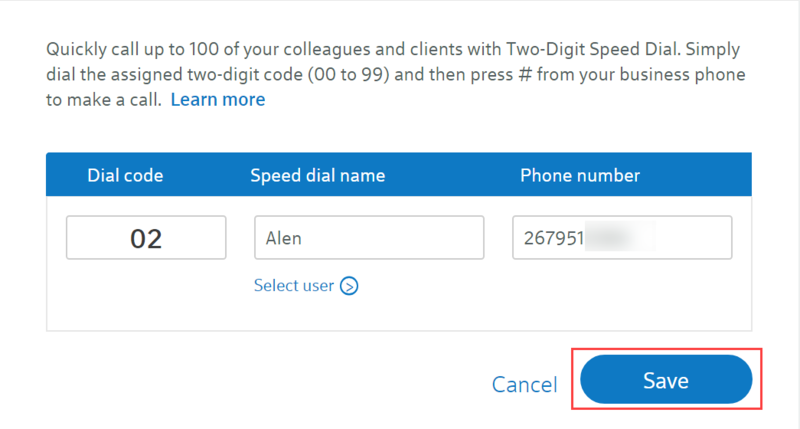 Choose Select user or manually add the Speed dial name and Phone number to associate with each dial code number, then select Save. 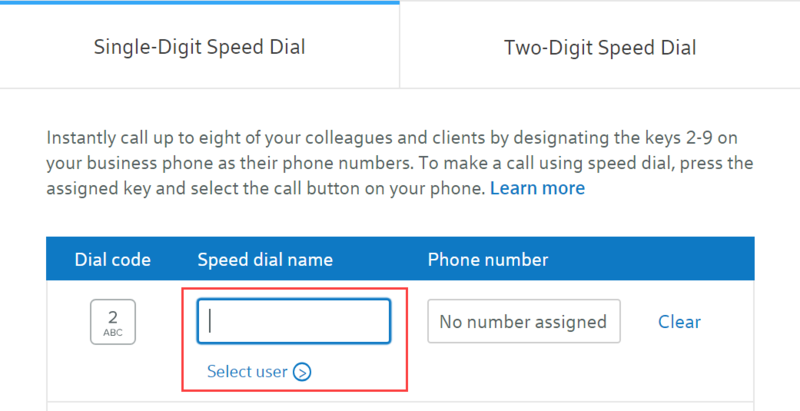 On the Two-Digit Speed Dial tab select Add Two-Digit Speed Dial. Choose Select user or manually add the Dial code, Speed dial name and Phone number, then select Save. Dial*74 and listen for the stutter dial tone. Enter a speed dial digit between 2 and 9. Dial the phone number for the digit to represent (including area code). Listen for the voice prompt confirmation. Dial*75 and listen for the stutter dial tone. Enter any two digits through 99. Dial the phone number for the digits to represent (including area code). Set up speed dial numbers to quickly reach your contacts.